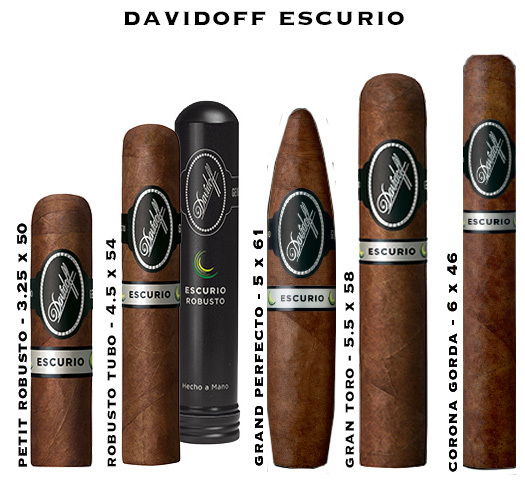 Davidoff Escurio Cigars - Buy Premium Cigars Online From 2 Guys Cigars . Inspired by Zino Davidoff’s pioneering spirit, Davidoff continues their mission to allow the modern aficionado to experience innovative, unique blends and unforgettable cigars. That mission led them to craft an exciting Brazilian cigar that delivers an intense, spicy sweet palate stimulation, coupled with the signature Davidoff refinement and sophistication. This time they found their inspiration in Rio, the soul of Brazil, and in the rhythms, intrigue, and rich experiences of its nights. And, just like an adventurous evening in this vibrant city, this complex and original cigar will carry you along on a taste adventure with unexpected twists and turns. Allow us to introduce to you, the Davidoff Escurio.